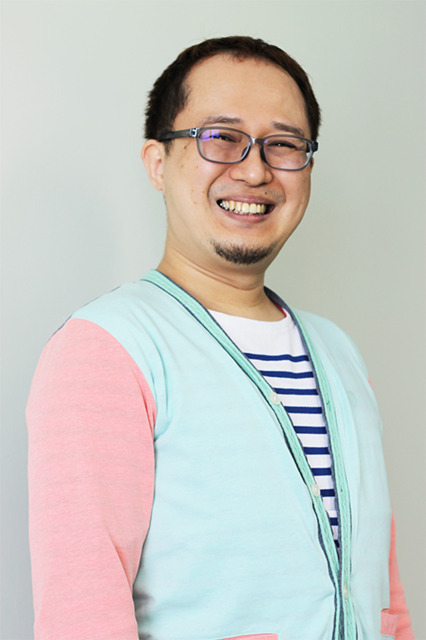 Ryukishi07 of 07th Expansion is a pioneer in the visual novel scene. Best known as the original creator of Higurashi no Naku Koro ni and Umineko no Naku Koro ni, he has been plumbing the depths of suspense, horror, and mystery for many years. Recently, in a change of genre, he wrote Lucia’s route in Key Visual Arts’ most recent visual novel, Rewrite (whose head writer was Aura and Humanity Has Declined’s Romeo Tanaka). This interview was conducted by Lily Huang, and comes courtesy of MangaGamer. It has been edited for clarity and concision. I like to leave it up to the audience to figure it out on their own. Do what audiences come up with ever contradict what you imagined? Yes, there are times when I present something, but readers take it a different way. It happens a lot. 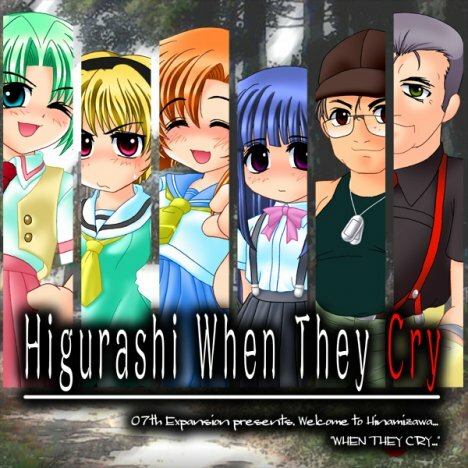 In the case of Higurashi, it took four years to make, and the readers had a lot of opinions and feedback, and I would take that and incorporate it into the next work. It’s like catching and passing a ball back and forth, an ongoing process. You worked on Rewrite’s Lucia route, which was a collaboration with many other people. Was it harder to write it without any feedback from fans? In the case of Higurashi and Umineko, it was my own work so I could do whatever I wanted. In Rewrite, it was Key Visual Arts’ work so I had to respect that, and it made me really nervous to write in a very different style and thought process. When you did the Lucia route, did you have to write more “business” type than “passion” type than you usually do? How did it make your work with Key more or less difficult? For me, when I could write anything I wanted, it was harder to come up with things. 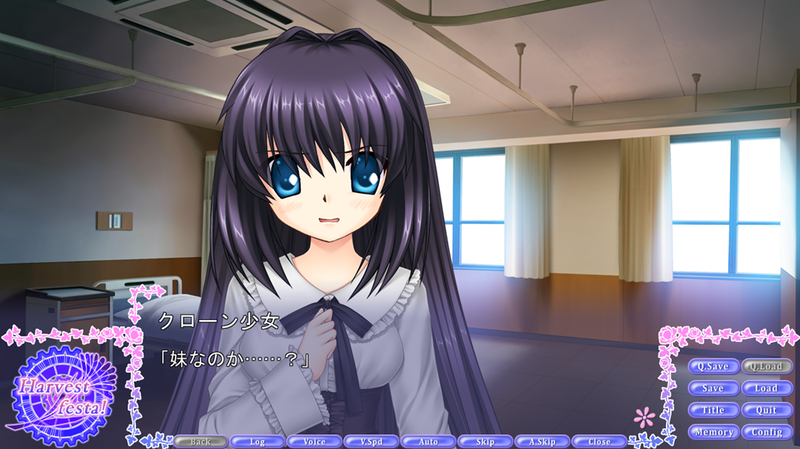 With Rewrite, there’s already a world and setting set up for me, as well as a character. It’s actually easier to write and expand that world. It was fun. Did you write the route knowing the ending ahead of time, or not? Rewrite itself is by Romeo Tanaka, and I couldn’t change that–there was already an initial setting for Lucia. But the direction of the story was up to me, as long as it was possible in that world. The ending was mine. Overall what was your experience like as a collaborator? What did you like and what would you change? Before Rewrite, I only wrote mystery, murders, suspense…it was the first time I wrote a love story. I found a lot of new things about my writing style. It was a good experience. We know you as a creator who works very closely with fans–Umineko and Higurashi had changes after fan feedback. How has your interaction with fans changed since then? When I wrote Higurashi and Umineko, I was still young and energetic, so I could go all the way. Now I’m getting kind of old and want to settle down, and find a new way of writing to fit my current stamina. What is it like working with fan translation groups like Witch Hunt vs official companies like MangaGamer? I’m always surprised because my games are so long, and there’s so much text, it’s surprising someone can translate all that work. They must have so much passion over the story. What is like working with MangaGamer? I’m very happy that we released new artwork for Higurashi and putting things on Steam. I’m happy to see new fans try things out that way. What are your thoughts of the future of the doujin and visual novel market in Japan vs America? Do you see fan involvement being more important in the future? Today’s visual novels are released by commercial companies; they are such high quality, they’re almost like [professional] anime. But people like fans that are making their own sound novels for the first time, they’re unable to get to that level at the start. I’m a little worried about them. But it’s OK that there can be two separate worlds of visual novels–very high quality commercial novels as well as old-fashioned pictures and music sound novels.